Lovingly cared for unique home. 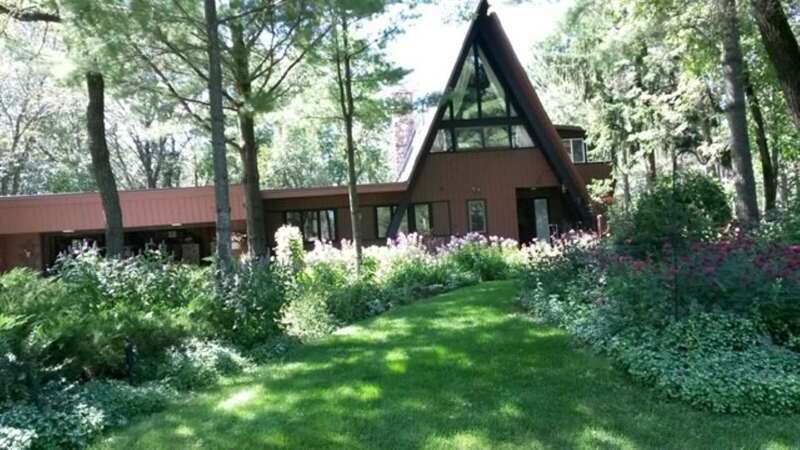 Sits on private wooded 1.03 acre lot with a babbling brook running along side of it (does not belong to the property). Summer pictures show the beautiful well manicured lot for your enjoyment. Master suite in loft with double vanity sinks, large closets and an area that can be used for a den or sitting room. Second level 14 x 12 screened porch with separate outside entrance for your convenience. 28&apos; high living room ceiling with massive 2 story stone gas fireplace.